- Chase is on the case and ready to help herd the sheep to win the competition! 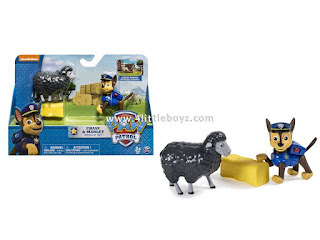 - Use Chase and his real moving legs to show Marley how to jump over the bale of hay. - Discover even more Adventure Bay rescue action with Marshall, Skye, Rubble and Rocky Rescue Sets. 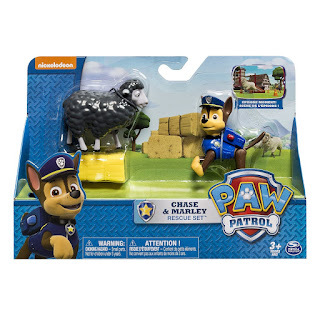 - The Chase and Marley Rescue set is for ages 3+. No batteries required.